The perfect combination of performance, comfort and versatility in the 7m+ boat segment, Quicksilver’s new Activ 755 Sundeck is designed with sun, relaxation and enjoyable cruising in mind. 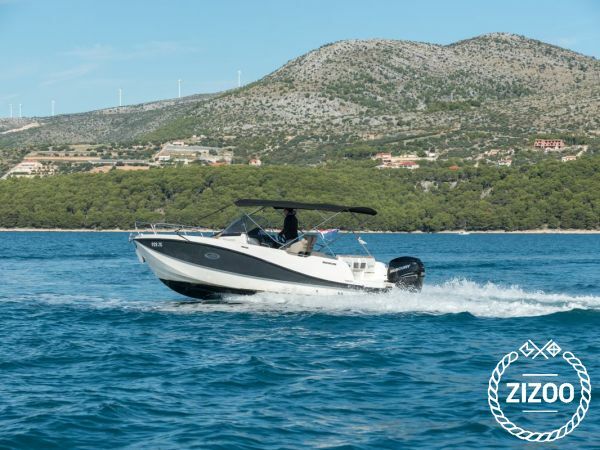 With a range of versatile configurations that offer great sun lounging as well as seating accommodation facilities, the Activ 755 Sundeck is designed for fast day cruising and water sports for up to eight people and comfortable overnighting for two. Also available for weekly rental in Split, Brac (Milna, Supetar), Hvar (Stari grad and Hvar town) and Primosten. Day rent is available from Split and Trogir.